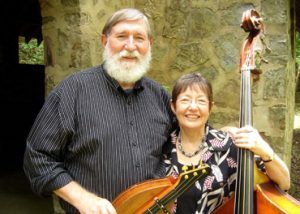 Located in rural Greencastle, Pennsylvania, Neal and Coleen stay busy in their respective studios and travel a lot to make music with John & Heidi Cerrigione, their musical partners in Doofus and as a duo at various dulcimer and autoharp events across the country. They often combine traveling to and from these appearances with performing in house concerts and presenting workshops along the way. If you’d like to see Neal and Coleen live in your living room, give us a holler. Neal and Coleen operate Basement Music, a full service recording studio — to include food and lodging while you’re recording. Neal has been playing stringed instruments and performing for more than 40 years. He loves to sing and typically accompanies himself on the mountain dulcimer, guitar and autoharp but he also plays fiddle, banjo, mandolin, and bass. He was a member of the Mill Run Dulcimer Band for over 20 years and recorded eight albums with that band. Currently he is a member of Doofus, joining his wife, Coleen, and Connecticut residents John and Heidi Cerrigione. Doofus has released four albums. 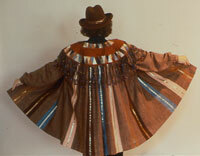 Coleen is a nationally known artist in her own right. She was an active quilter for over 30 years and, prior to the move to Greencastle, was a member of FiberWorks, a cooperative studio located at the Torpedo Factory Art Center in Alexandria, VA. Her teaching credits include the International Quilt Festival, Quilt Surface Design Symposium, NQA Annual Shows, and Quilter’s Heritage Celebration, as well as numerous guilds and stores. Her work has been featured in several national quilt magazines and her quilts and clothing have been in exhibits in many states and countries. She operates her own art-to-wear design business, Coverings and also plays bass and sings harmony in Doofus.